Best-selling Canadian author of 14 books on economic trends, real estate, the financial crisis, personal finance strategies, taxation and politics. 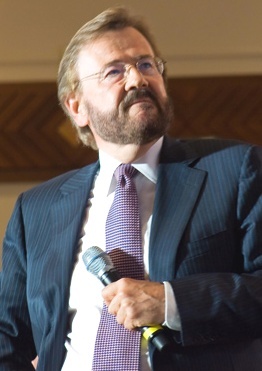 Nationally-known speaker and lecturer on macroeconomics, the housing market and investment techniques. Influential commentator on public and financial affairs through blogging, media, books and personal appearances. Member of the Canadian Parliamant for nine years, serving as Member of Parliament, Cabinet Minister (in charge of Canada Revenue Agency), national leadership contender (Progressive Conservative Party of Canada), House of Commons Standing Committee member and chairman (Consumer and Corporate Affairs, Finance), Special Advisor to the Leader of the Official Opposition. 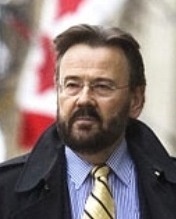 Member of the Privy Council of Canada. Medals recipient. Entrepreneur: founder and CEO of Canada's largest independent producer of network television, providing programming to CTV, Global, YTV and others. Founded and successfully operated chain of six community newspapers in Ontario. Founded and operated eco-tourism and hospitality company aggregating and restoring heritage properties. Business Editor, CTV network. Business Editor and daily columnist, Sun Media. Editor, Globe and Mail, Report on Business. Editor and writer, Thomson Newspapers. Contributor to national magazines, newspapers and television broadcasts in Canada and the U.S.
Investment Advisor with a fee-based, no-commission practice serving clients across Canada. If you would like more information on this, please click here. Garth Turner is an Investment Advisor and principal with Turner Investments at Raymond James Ltd., where he is Senior Vice President, Private Client Group. The opinions expressed on this site are his alone. Content on this site is presented as personal commentary on current economic, real estate and financial conditions and does not in any way constitute commercial solicitation or investment advice. Readers are encouraged to independently seek their own investment advice and financial counsel. Copyright © 2007-2019 Garth Turner. All Rights Reserved.